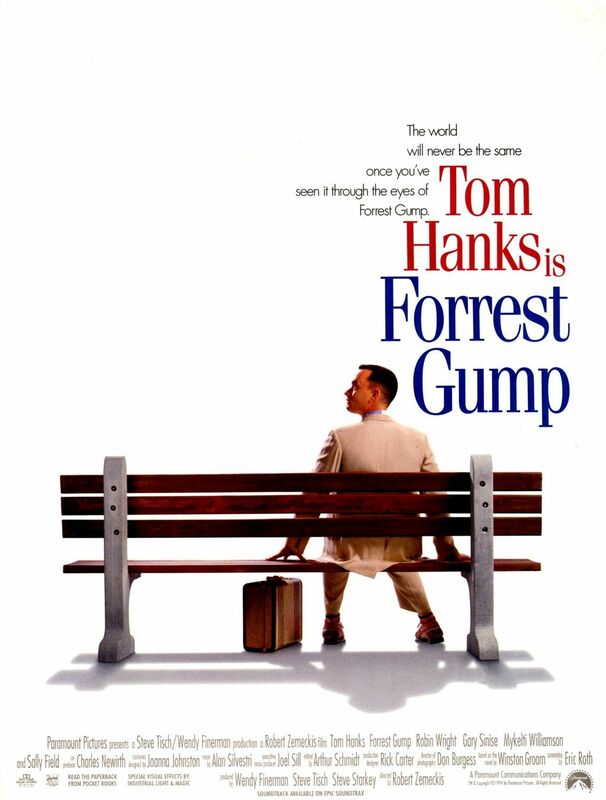 Though it may be overly sentimental at points, Forrest Gump remains one of my favorite films. It’s beautifully told, superbly acted, and wields a mighty theme. The message that someone who is branded “stupid” by the world is essentially one of the most encouraging, accepting, peaceful people on the planet. 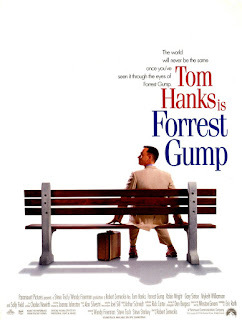 Forrest is an openly loving person surrounded by hurting people who are greatly influenced by his character. 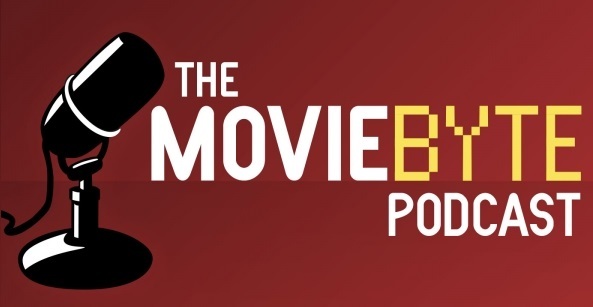 Additionally, it's just a fun story that weaves its central character in and out of some of the most defining moments of recent American history. 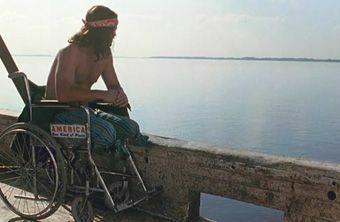 There are many themes and characters I could discuss from the film, but my focus today is on my favorite character, Lieutenant Dan. 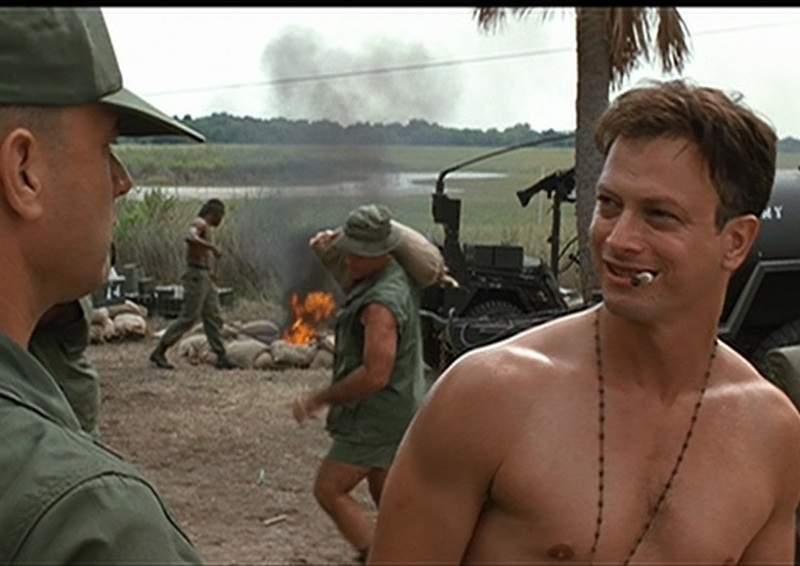 He's played brilliantly by Gary Sinise who is pretty much just as awesome as his character in real life. When we first meet Dan he’s doing pretty well. He’s an army lieutenant focused on both the welfare of his men and his obsession with fulfilling his destiny of dying with honor on the battlefield. Forrest informs us in his narration that a member of Dan's family died on the field in every great American war. Dan is kind of an abrupt, no-nonsense guy, but he makes a good leader because of his instincts and awareness of his comrades. Not long after Forrest joins up with Dan in Vietnam, they find themselves in a middle of an intense enemy attack. Forrest saves many lives that day, including Lieutenant Dan’s. Dan has been horribly injured. He begs screaming to be put down and left to die as Forrest carries him away from danger, but Forrest does what he's best at and just keeps running. Lt. Dan: Now, you listen to me. We all have a destiny. Nothing just happens, it's all part of a plan. I should have died out there with my men, but now, I'm nothing but a goddamned cripple! A legless freak. Look! Look! Look at me! Do you see that? Do you know what it's like not to be able to use your legs? Forrest: Well...yes sir, I do. Forrest: You're still Lieutenant Dan. That line holds such incredible power. Though Forrest is simple, so is the truth. Dan put his entire identity into being a war hero. That’s all he was to himself. A soldier whose sole purpose was to die on the battlefield. So when that honor was “taken” from him, he was left to contemplate the horrifying truth, that he doesn’t know who he truly is at all. We leave Dan for a time during the story. When we next see him it’s not hard to imagine with those missing years were like between that hospital in Vietnam to the moment he finds Forrest on the streets of New York. His hair is long and messy, he’s dressed like a homeless bum (though he’s not homeless), and pushing himself around in a rickety wheel chair. Forrest is thrilled to see him, though Dan doesn’t seem to reciprocate. Though he appears to be nothing but a ball of bitter rage, it’s clear that Dan has missed Forrest and desperately needs a friend. They reconnect over the holidays and it’s during the New Year’s Countdown when the world around him is cheering and throwing confetti that we see Dan’s true self. Miserable and alone. Very rarely do we get glimpses of male depression, so I am grateful this film does not shy away from sharing a little bit of what that’s like. The bitterness, the anger at life, at God, whatever. Dan talks to Forrest on Christmas Eve about God, and it’s pretty obvious who he’s really angry at. Naturally, Dan eats his words. Forrest does captain a boat, though not a lot of shrimp seem to be coming aboard. 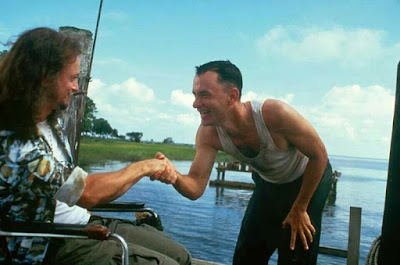 Dan keeps his promise and joins Forrest as his first mate. Unfortunately, even together they don’t seem to be able to catch enough shrimp to make a cocktail. Lt. Dan: Where the Hell is this God of yours? Forrest: [voice over] It's funny Lieutenant Dan said that, 'cause right then, God showed up. Suddenly, a violent hurricane sweeps across the water. Forrest is terrified, flailing around trying to keep the boat afloat, but Dan is in another place all together. From atop the crow’s nest, he laughs maniacally, screaming at the sky. Though I was quite young when I first saw this film, I completely understood what was happening in this “showdown” between Dan and God. Dan’s anger was as fierce as the storm. He was tired of losing. His legs, his dignity, even the shrimp. He wanted God to end it, take it all, wash it away. Yet, much to Dan’s surprise, this was not a storm of wrath, but of grace. The waters calmed and the storm had destroyed every shrimp boat except their own. With no competition, they found shrimp in abundance. Their loss had been replaced a thousand fold. Soon Forrest and Dan became two of the wealthiest men in the south. As they found themselves sailing through smooth waters- both literally and figuratively- Dan turns to Forrest and for the first time thanks him for saving his life in Vietnam. He then lifts himself onto the boat edge and falls into the water, swimming beneath a heavenly sky. Water represents rebirth, baptism, being washed clean. Though he never actually says so, Forrest and the audience can now surmise that his own storm has passed and he now is at peace with God, and life. The wonderful thing about Grace is that it is an overflowing fount. Lieutenant Dan lived through some of the hardest things a man can live through in this life, and through that pain and suffering a new and more glorious life was born. when he has tried me, I shall come out as gold." In the last, tearful chapter of the film- during Forrest’s marriage to Jenny- we finally see Dan again. Several years have passed and we can see he really has come out as gold. 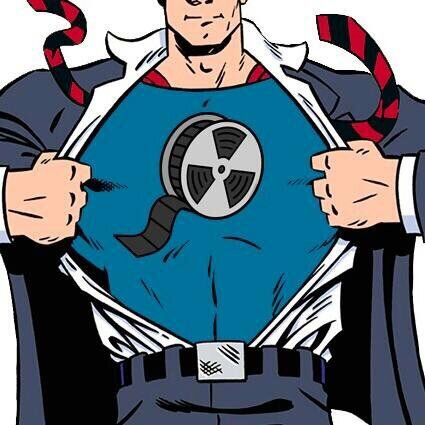 He’s cleaned up and standing tall on two titanium alloy legs. The “magic legs,” as Forrest calls them. At his side is his fiancée, who happens to be Vietnamese, and that in a way brings his journey full circle. His loss, his suffering, and pain did have purpose. He was right about having a destiny, and it's safe to say that in the end the destiny he was given in grace was far greater than any fate he originally intended for himself. Oh, wow! I love this, Alexis! This is such an excellent analysis, and it brings a tear to my eye! ;'-) (No joke!) The themes of grace and rebirth are so strong in Lieutenant Dan's story and you've really highlighted them well in this post. Awesome. :-) I don't care what people say about this film, yeah a little cheesy, a little on the nose, but still such a good film, with great themes! Will always be one of the greats. Wow, Alexis, this was such a great post and character analysis! I had forgotten how beautiful and tear-jerking Dan's journey was. They don't make films with real stories like this very much anymore.